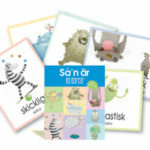 Enkelit / Angels is a set of 52 exquisitely-illustrated, heart-warming cards featuring ‘everyday’ angels. Each card represents an important quality or skill that we may want to celebrate or invite into our family, workplace, classroom and community, such as contentment, peace, assertiveness, clarity, openness, balance or adventure. 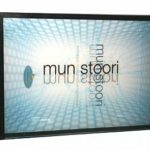 Innovative Resources recognises that angels have particular resonance and specific meaning for various religious traditions. This is greatly respected. 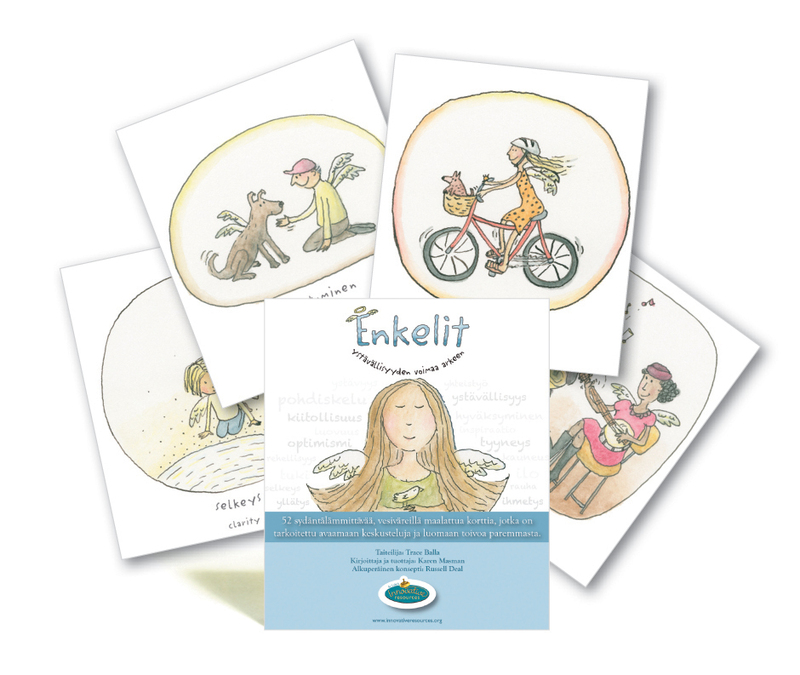 Our Enkelit / Angels card set simply uses the metaphor of an everyday and very human angel as a way of focusing on strengths, capacities, skills, qualities and goals that may be appropriate for everyone, regardless of cultural background or religious affiliation. Enkelit / Angels is based on the understanding that by strengthening our capacity to notice and name the strengths and blessings that come into our day, we strengthen our own capacity to develop and communicate them. In this way we become a more abundant source of those strengths for others and for ourselves.